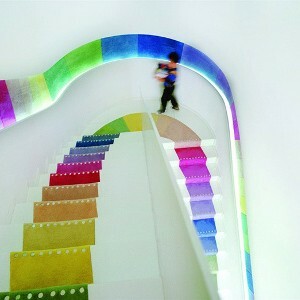 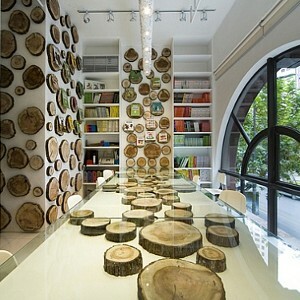 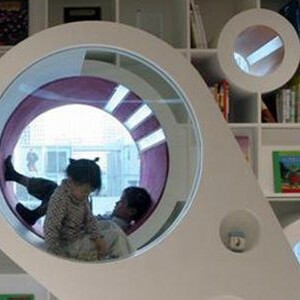 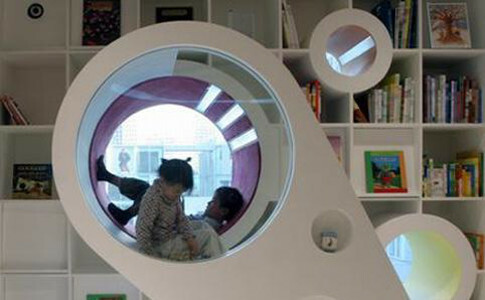 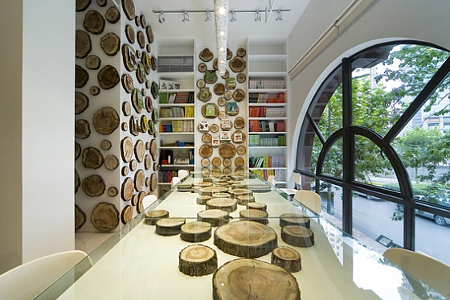 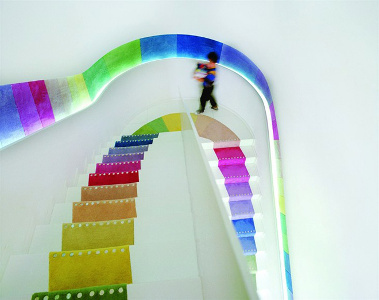 The Poplar Kid’s Republic is a children’s bookstore in Beijing China, and was designed by SAKO. 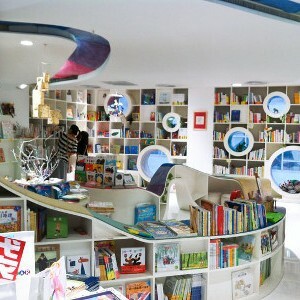 It was opened in October 2005 by BPCPC (the Japanese publisher of children’s books), whose aim was to promote cultural awareness among children through illustrated books. 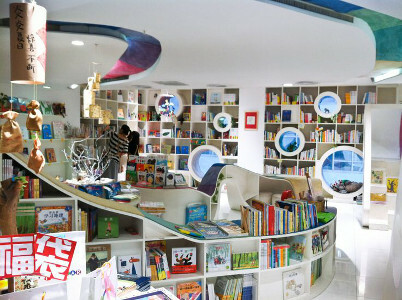 The Poplar Kid’s Republic is one of China’s first and biggest children’s bookstores, stocking 3,000 illustrated storybooks from Europe, America, Japan and China – it includes famous favourites such as The Very Hungry Caterpillar, which contributes to childhoods all over the world. 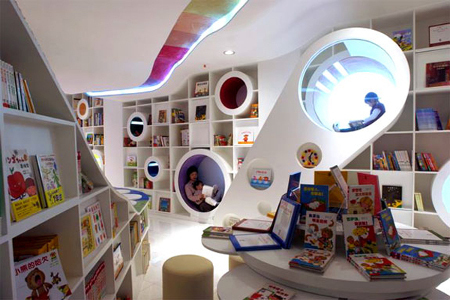 It provides children and parents with an amazing collection of children’s books, which can be read in a relaxing environment. 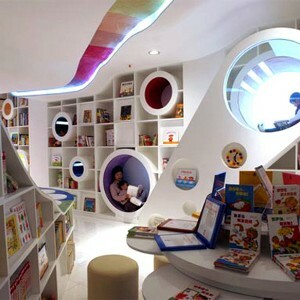 As well as the comfortable reading area which encourages parents and children to read together, the store also has a play area, and offers a free storytelling hour on the weekends, which is often followed with arts and crafts activities. 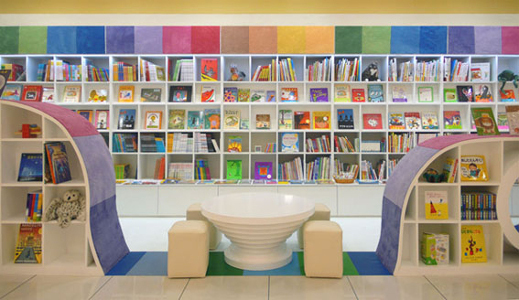 The explosion of colours, the imaginative design and the vast collection of stories is sure to get any child’s imaginations going!